The University of Plymouth began in 1862 as the School of Navigation for which Tectona was the sail training ketch between 1964 and 1980, used to give seagoing experience to students. 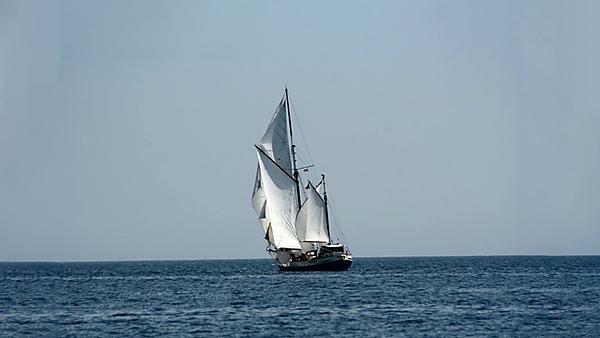 Since then she has been again showing her amazing fitness for purpose as a sail training vessel, with Tectona Trust loaning her free of charge to the Island Trust who make many voyages out of Plymouth with their highly qualified crew. In 2016, over 600 young people sailed with the Trust, many of whom were disadvantaged or disabled and all of whom were encouraged to achieve so much more than they thought themselves capable of, with leadership, team-working, interpersonal and other key employability skills developed along the way. In the case of the University of Plymouth, they add value and a unique experience to our students' maritime degree courses, and our engagement in Tectona Trust Voyages of Recovery (adventure sailing for people in recovery from drug addiction) enables a deep learning experience for our medical students. The Tectona Trustees board includes two University of Plymouth alumni and two former academic members of staff. Ben Williams is a final year BSc (Hons) Navigation and Maritime Science student with the University of Plymouth and is very proud to be Tectona's Skipper. Tectona Trust provides its own adventure sailing voyages for people who are abstinent in recovery from drug and alcohol addiction. Since 2013 Tectona has welcomed two trainee doctors from the University of Plymouth's Faculty of Medicine and Dentistry onto one of its Recovery voyages each year, giving them an in-depth experience of what addiction and recovery is really like. This is the centrepiece of a medical humanities module run by Dr Roger Crabtree, owner of the Tectona. Tectona Trust is involved in aspects of medical research associated with sail training and Dr Andrew Wills is undertaking a formal academic study to research the effects of the Tectona Recovery Voyages as part of his teaching and research expertise. He is undertaking similar research with children's sailing charity Horizons Plymouth which helps disadvantaged and disabled children through water-based activities. In 2014 and 2015 Tectona hosted a crew of care leavers students from Plymouth University, gratefully enabled by The Swarthmore Trust, Dr Andrew Eccleston and Tectona Trust. Watch a film about the Tectona voyage. Tectona hosted a celebratory event on board to celebrate the 150th anniversary of the University of Plymouth on 24 October 2012. She was moored alongside our two newer vessels – the research ship Falcon Spirit and the 45-foot training yacht Take the Helm – at the Commercial Quay Pontoon on Plymouth Barbican and during the day all three were open to visitors. A tremendous tribute to the history and legacy of Tectona.